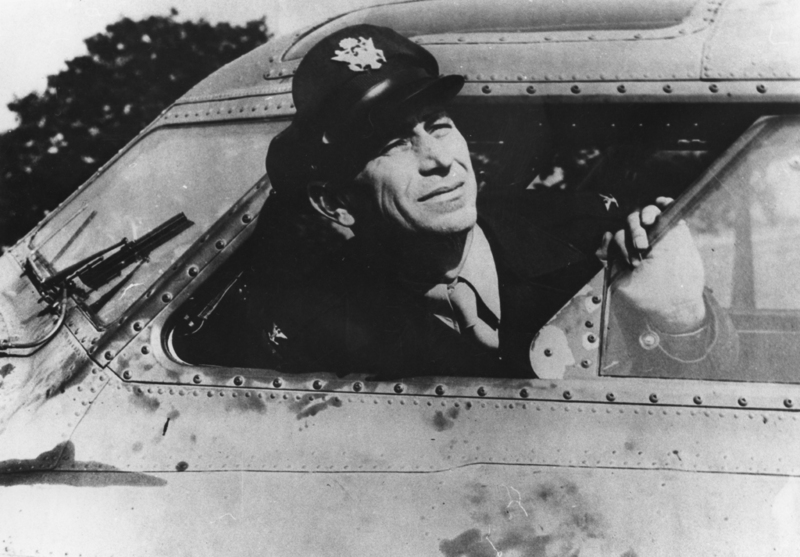 17 August 1942: Mission No. 1. 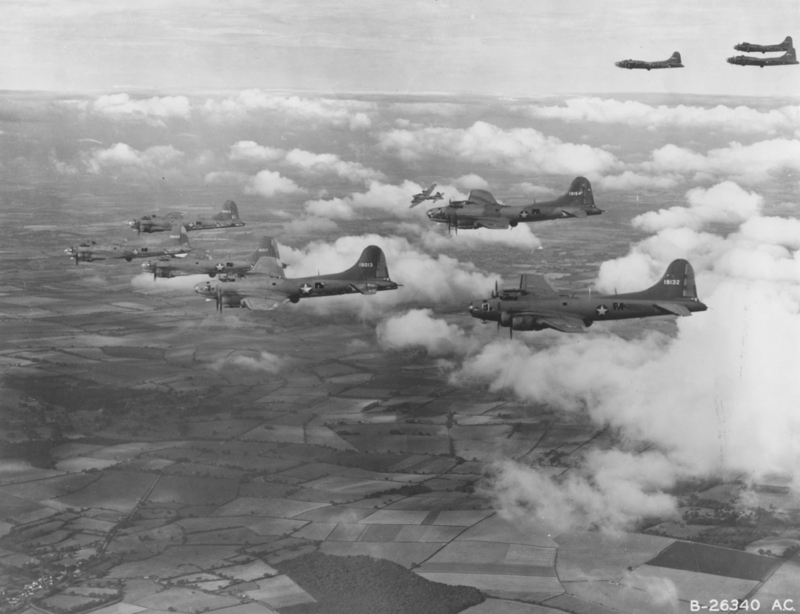 The United States VIII Bomber Command made its first heavy bomber attack on Nazi-occupied Europe when eighteen Boeing B-17E Flying Fortress four-engine bombers of the 97th Bombardment Group (Heavy), based at RAF Polebrook, Northamptonshire, England, headed for the railroad marshaling yards at Rouen-Sotteville, France. This was the largest and most active railroad yard in northern France. The group began takeoffs at 1530 hours. It was escorted by several squadrons of Royal Air Force Supermarine Spitfire fighters. While six B-17s flew along the French coast as a diversion, twelve bombers flew to Rouen and were over the target from 1739 to 1746. 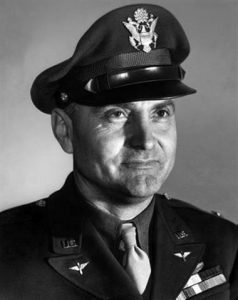 From an altitude of 23,000 feet (7,010 meters), they dropped 39,000 pounds (17,690 kilograms) of general purpose bombs. Accuracy was good. 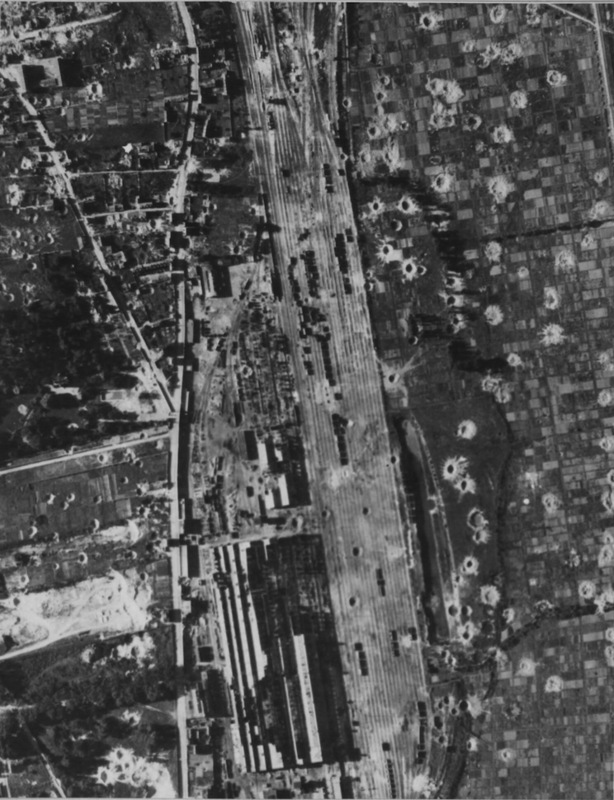 One of the aim points, the locomotive shops, was destroyed by a direct hit. The overall results were moderate. All of the bombers returned to their base, with the first landing at 1900. 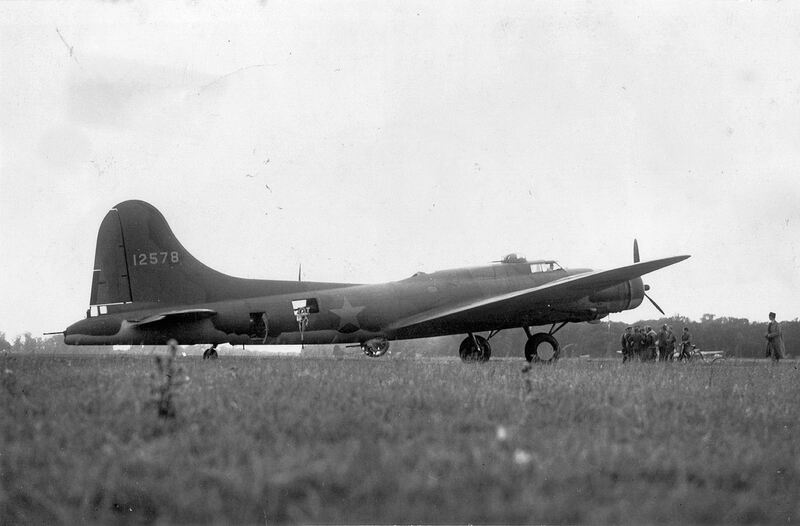 Two B-17s had been damaged. American gunners claimed damage to one Luftwaffe airplane. 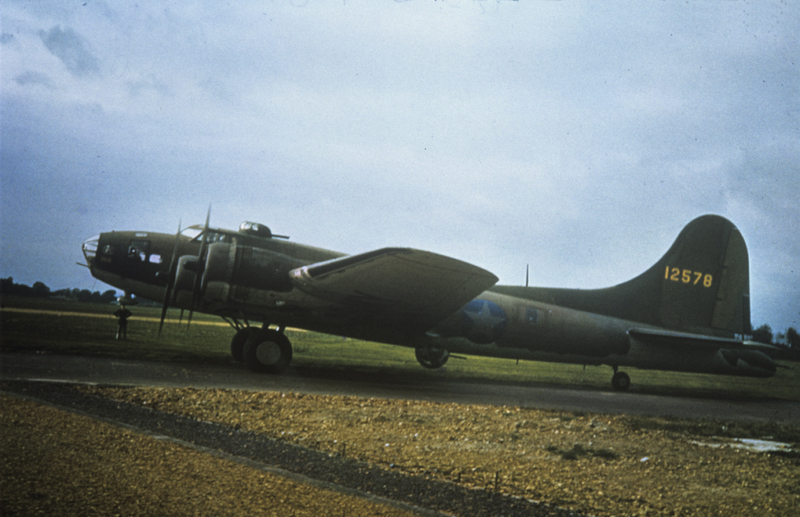 The Boeing B-17E Flying Fortress was a major redesign. A new aft fuselage was used, incorporating larger vertical and horizontal stabilizers. A tail turret was added. A power-operated gun turret was added at dorsal and ventral positions. The Boeing B-17E Flying Fortress was a four-engine heavy bomber operated by a flight crew of ten. It was 73 feet, 10 inches (22.504 meters) long with a wingspan of 103 feet, 9-3/8 inches (31.633 meters) and an overall height of 19 feet, 2 inch (5.842 meters). Its empty weight was 32,350 pounds (14,674 kilograms), 40,260 pounds (18,262 kilograms) gross weight, and the maximum takeoff weight was 53,000 pounds (24,040 kilograms). The B-17E was powered by four air-cooled, supercharged, 1,823.129-cubic-inch-displacement (29.875 liters) Wright Cyclone G666A (R-1820-65) nine-cylinder radial engines with turbochargers, producing 1,200 horsepower at 2,500 r.p.m. for takeoff and 1,000 horsepower at 2,300 r.p.m. at Sea Level. The Cyclones turned three-bladed constant-speed Hamilton-Standard Hydromatic propellers with a diameter of 11 feet, 7 inches (3.835 meters) though a 0.5625:1 gear reduction. The R-1820-65 was 47.59 inches (1.209 meters) long and 55.12 inches (1.400 meters) in diameter. It weighed 1,315 pounds (596 kilograms). 8,422 of these engines were produced by Wright Aeronautical Division and its licensees between February 1940 and August 1942. The B-17E had a cruise speed of 195 miles per hour (314 kilometers per hour). Its maximum speed was 318 miles per hour (512 kilometers per hour) at 25,000 feet (7,620 meters). The service ceiling was 36,600 feet (11,156 meters). With a normal fuel load of 2,490 gallons (9,426 liters) the B-17E had a maximum range of 3,300 miles (5,311 kilometers). Carrying a 4,000 pound (1,814 kilogram) bomb load, the range was 2,000 miles (3,219 kilometers). The B-17E Flying Fortress was armed with one .30-caliber Browning M2 Aircraft Machine Gun and eight Browning AN-M2 .50-caliber machine guns. The .30 was mounted in the nose. Power turrets mounting two .50-caliber guns, each, were located at the dorsal and ventral positions. (The first 112 B-17Es were built with a remotely-operated turret in the belly position, sighted by a periscope. A manned ball turret replaced this.) Two machine guns were in a tail turret, and one on each side at the waist. The maximum bomb load of the B-17E was 20,800 pounds (9,435 kilograms) over very short distances. Normally, 4,000–6,000 pounds (1,815–2,722 kilograms) were carried. The internal bomb bay could be loaded with a maximum of eight 1,000 pound (454 kilogram) or four 2,000 pound (907 kilogram) bombs. 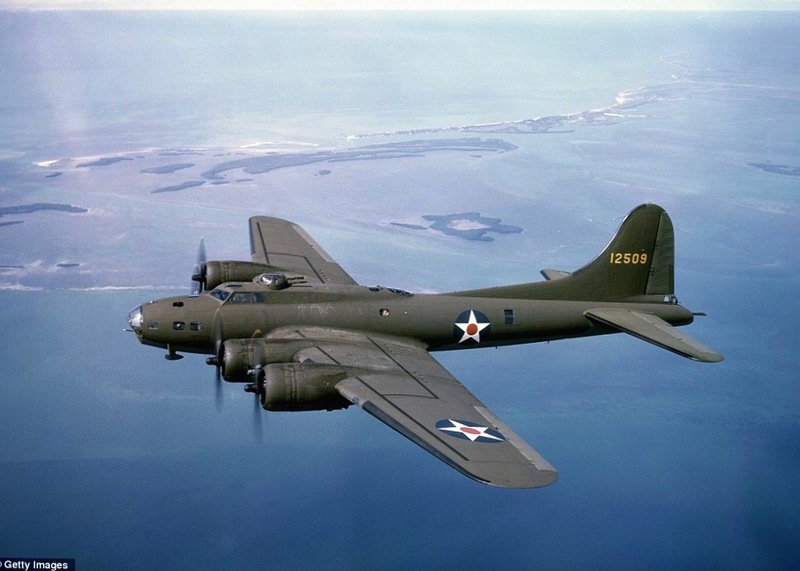 The B-17 Flying Fortress first flew in 1935, and was in production from 1937 to 1945. 12,731 B-17s were built by Boeing. 512 of the total were B-17Es. The last one was completed 28 May 1942. 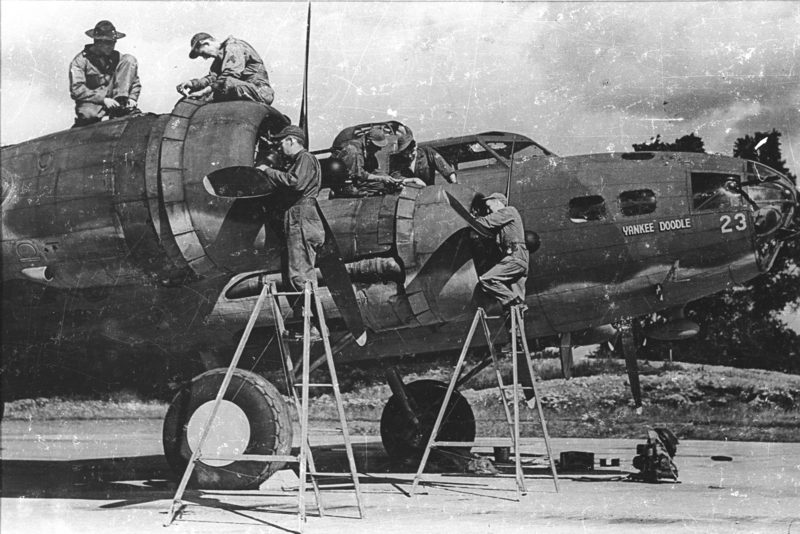 Production shifted to the further-improved B-17F.